In order for cancer cells to successfully spread and multiply, they must find a way to avoid the body's immune system. Scientists at the German Cancer Research Center (DKFZ) have recently published an explanation for how this occurs with chronic lymphatic leukemia (CLL). The CLL cells cause an inflammatory reaction and influence other blood cells with it so much, that the immune system is suppressed. The cells send out messages via exosomes, little subcellular vesicles, that the cells transmit to their surroundings. The new discovery by the DKFZ scientists paves the way for new therapy approaches. Tumor cells influence their environment in order to avoid an immune response and to facilitate favorable conditions for growth. It has been known for a long time that solid tumors, those that grow as solid tissue inside an organ, manipulate macrophages, the “big eater” cells of the immune system, for their own purposes. "Recently, we have seen more and more evidence that something similar must be happening in leukemia,” says Dr. Martina Seiffert of the DKFZ in Heidelberg. So, leukemia cells, acquired by the patient through CLL, could only survive in a culture cell if it also contains macrophages or monocytes, the precursors of the “big eaters.” They serve as a form of nourishment for cancer cells. Dr. Seiffert's team has now discovered how the interplay between leukemia cells and monocytes becomes a catalyst for cancer development. "We know that the so-called PD-L1 receptor occurs more frequently on the surface of these nourishing cells, and suppresses the immune response,” says Dr. Seiffert. "What we have here is a so-called immune checkpoint, which prevents excessive immune responses." In this case, however, the immune response is suppressed so much that the cancer cells can multiply unopposed. Researchers at Binghamton University in New York have developed a new drug that may limit the progression of Parkinson's disease while providing better symptom relief to potentially hundreds of thousands of people with the disease. Symptoms of Parkinson's disease are commonly managed using selective dopamine receptor agonists. While these drugs are useful in early-stage Parkinson's, they tend to lose efficacy in later disease stages. Equally important is the fact that currently marketed drugs do not appear to modify disease progression. A research team including Binghamton University psychology professor Chris Bishop, PhD, and former graduate student Dr. David Lindenbach recently employed a preclinical model of Parkinson's disease to compare the effects of the dopamine agonist ropinirole to their new drug, known as D-512. Results demonstrated that D-512 was more efficacious than ropinirole in treating the symptoms of Parkinson's disease while also prolonging the time window during which the animals showed benefits. These findings followed on the heels of prior work by this collaborative group which demonstrated that D-512 may also protect again the progression of Parkinson's disease. 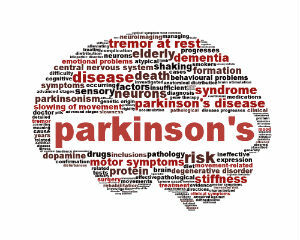 "A major issue for Parkinson's disease patients is the need to take multiple medications, multiple times per day. So, we were quite astounded to discover that our new compound, D-512, was superior to the widely-used drug, ropinirole, in terms of maximal symptom relief and duration of action," said Dr. Lidenbach. The researchers also noted that D-512 may have fewer side effects than current medications. When patients take anti-parkinsonian drugs, over time they develop hyperkinetic movements that are hard to control, called dyskinesia. Katherine (Katie) E. Ward (photo) has been named the Outstanding Biology Teacher from California (2017) by the National Association of Biology Teachers (NABT). Ms. Ward will be recognized at the NABT Honors Luncheon at the NABT Professional Development Conference in St. Louis this November. Ms. Ward is a lead teacher at Aragon High School in San Mateo, CA, where she teaches AP Biology and Biotechnology. She also serves as a teacher in residence at the Exploratorium Museum in San Francisco, is an active AP Leadership Academy participant, and is a Next Generation Science Standards (NGSS) Professional Development Leader, She also facilitates professional development for educators using activities sponsored by the Howard Hughes Medical Institute (HHMI). Stem cell biologists have tried unsuccessfully for years to produce cells that will give rise to functional arteries and give physicians new options to combat cardiovascular disease, the world’s leading cause of death. Now, new techniques developed at the Morgridge Institute for Research in Madison, Wisconsin, and at the University of Wisconsin-Madison have produced, for the first time, functional arterial cells at both the quality and scale to be relevant for disease modeling and clinical application. Reporting in the July 10, 2017 issue of PNAS, scientists in the lab of stem cell pioneer Dr. James Thomson describe methods for generating and characterizing arterial endothelial cells — the cells that initiate artery development — that exhibit many of the specific functions required by the body. The PNAS article is titled “Functional Characterization of Human Pluripotent Stem Cell-Derived Arterial Endothelial Cells.” Further, these cells contributed both to new artery formation and improved survival rate of mice used in a model for myocardial infarction. Mice treated with this cell line had an 83 percent survival rate, compared to 33 percent for controls. “The cardiovascular diseases that kill people mostly affect the arteries, and no one has been able to make those kinds of cells efficiently before,” says Dr. Jue Zhang, a Morgridge assistant scientist and lead author. “The key finding here is a way to make arterial endothelial cells more functional and clinically useful.” The challenge is that generic endothelial cells are relatively easy to create, but they lack true arterial properties and thus have little clinical value, Dr. Zhang says. The research team applied two pioneering technologies to the project. German Shepherd Dogs (GSDs) could be predisposed to health conditions such as arthritis because of the way they have been bred in recent decades, according to a new study published online on July 28, 2017 in the open-access journal Canine Genetics and Epidemiology. The article is titled “Demography and disorders of German Shepherd Dogs under primary veterinary care in the UK.” Data from nearly half a million dogs collected across 430 veterinary clinics in the UK, via the VetCompass™ Programme at the Royal Veterinary College, reveals that GSDs are most likely to die from complications arising from musculoskeletal disorders (13.6% of cases) or the inability to stand (14.9% of cases). A total of 263 specific disorder types were recorded in German Shepherds, the most common of which were inflammation of the ear canal (7.89% of dogs), osteoarthritis (5.54%), diarrhea (5.24%), overweight and obesity (5.18%), and aggression (4.76%). Dr. Dan O'Neill, lead author from the Royal Veterinary College, said: "German Shepherd Dogs have previously been reported to have the second highest number of health disorders exacerbated by breeding traits, with Great Danes occupying first place. It has been reported that German Shepherds are predisposed to conditions such as abnormal formation of the hip joint, cancer and degenerative spinal disorders, but the extent to which these conditions are prevalent in the population are unclear. However, by looking at primary care data from veterinary clinics, we are able to get a much better picture of the real priority conditions affecting this breed and this will help inform clinical practice in the future." The GSD is one of the most popular breeds worldwide with historical working roles that include herding, guarding, police, military, and guide-dog work. 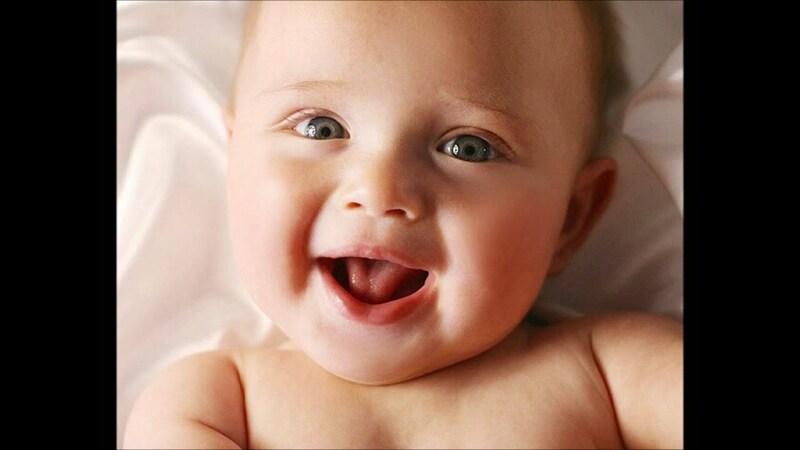 The smile may be the most common and flexible expression, used to reveal some emotions, cover others, and manage social interactions that have kept communities secure and organized for millennia. But how do we tell one kind of smile from another? "When distinguishing among smiles, both scientists and laypeople have tended to focus on true and false smiles. The belief is that if you smile when you're not happy, the smile is false," says Dr. Paula Niedenthal, a psychology professor at the University of Wisconsin-Madison. "But people smile in many different circumstances and during many emotional states. So, asserting that only smiles that result from states of happiness are 'true' smiles limits our understanding of this important facial expression." Dr. Niedenthal and colleagues from Cardiff University and the University of Glasgow published in the journal Psychological Science (online on July 25, 2017 ) a set of experiments that seek to expand our understanding of the human smile, showing three distinct, reliably recognized expressions -- smiles of reward, affiliation, and dominance -- and describing the facial muscle combinations that make them. Each smile hinges on an anatomical feature known as the zygomaticus major, straps of facial muscle below the cheekbones that pull up the corners of the mouth. But this not the only muscle at work. Participants in the study looked at thousands of computer-generated expressions with random combinations of facial muscles activated -- with one exception. "We varied everything that could be varied in an expression, but our stimuli included some action from the smile muscle, the zygomaticus," says Dr. Magdalena Rychlowska, a postdoctoral researcher at Cardiff University. "We asked participants to tell us when they see a reward or affiliative or a dominance smile, and when the expression is not a smile." Genes that regulate a cellular recycling system called autophagy are commonly mutated in Crohn’s disease patients, though the link between biological housekeeping and inflammatory bowel disease remained a mystery. Now, researchers at the University of Texas (UT) Southwestern Medical Center have uncovered an intriguing clue. 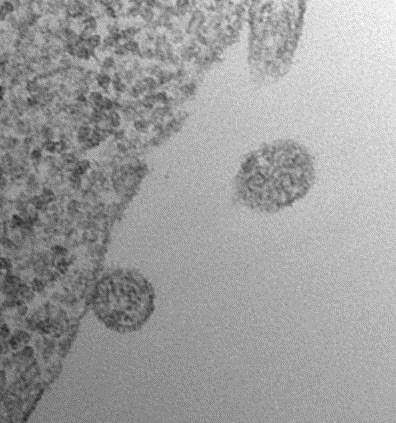 A research team led by Dr. Lora Hooper, Chair of Immunology at UT Southwestern and an Investigator of the Howard Hughes Medical Institute, has determined that a backup pathogen-fighting system uses autophagy’s cellular machinery to deliver protein weapons to the front lines – the cell surface – in the fight against bacterial attack. 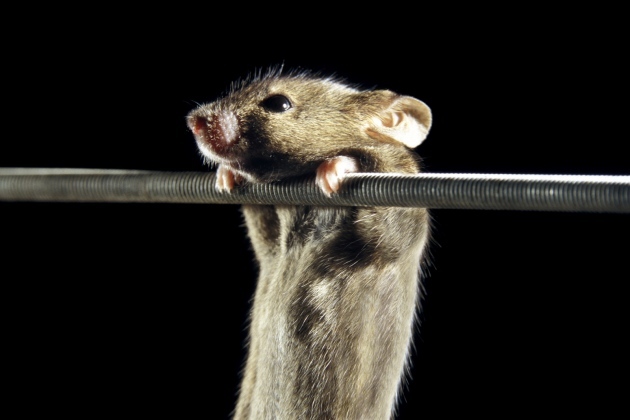 “This is the first example of this alternative pathway being used in immune defense in any kind of animal,” Dr. Hooper said of the mouse study, published online today (Juley 27, 2017) in Science. The article is titled “Paneth Cells Secrete Lysozyme Via Secretory Autophagy During Bacterial Infection of the Intestine.” The Centers for Disease Control and Prevention (CDC) estimates that approximately 3 million U.S. residents suffer from inflammatory bowel disease with that number about equally split between Crohn’s disease and ulcerative colitis. The two conditions are characterized by chronic inflammation of the gastrointestinal tract. Dr. Shai Bel, a postdoctoral researcher in Dr. Hooper’s laboratory and the lead author of the study, said the significance of the study’s findings rests on understanding the complex, dynamic ecosystem in the intestines. “Our guts are teeming with trillions of bacteria that do a great service by helping us digest food, but they can also cause illness if able to invade our tissues,” Dr. Bel said. Scientists at Albert Einstein College of Medicine in New York City have found that stem cells in the brain’s hypothalamus govern how fast aging occurs in the body. The finding, made in mice, could lead to new strategies for warding off age-related diseases and extending lifespan. The paper was published online on July 26, 2017 in Nature. The article is titled "Hypothalamic Stem Cells Control Aging Speed Partly Through Exosomal miRNAs.” The hypothalamus was previously known to regulate important processes, including growth, development, reproduction, and metabolism. In a 2013 Nature paper, Einstein researchers made the surprising finding that the hypothalamus also regulates aging throughout the body. Now, the scientists have pinpointed the cells in the hypothalamus that control aging: a tiny population of adult neural stem cells, which were known to be responsible for forming new brain neurons. 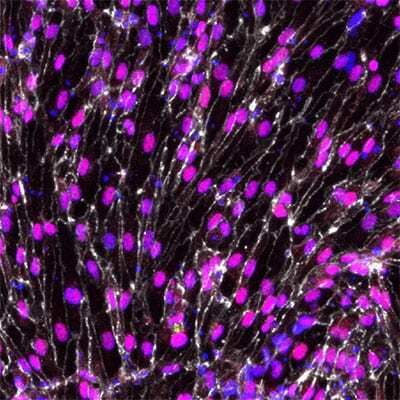 "Our research shows that the number of hypothalamic neural stem cells naturally declines over the life of the animal, and this decline accelerates aging," says senior author Dongsheng Cai, M.D., Ph.D., Professor of Molecular Pharmacology at Einstein. "But we also found that the effects of this loss are not irreversible. By replenishing these stem cells or the molecules they produce, it’s possible to slow and even reverse various aspects of aging throughout the body." In studying whether stem cells in the hypothalamus held the key to aging, the researchers first looked at the fate of those cells as healthy mice got older. The number of hypothalamic stem cells began to diminish when the animals reached about 10 months, which is several months before the usual signs of aging start appearing.